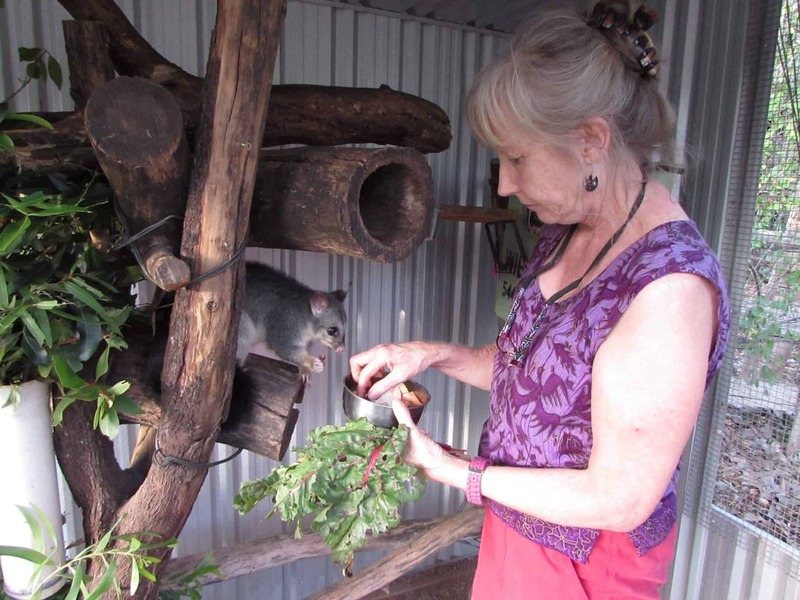 “We had a Red-bellied Black Snake inside the vegetable patch, and a Python right outside, both trying to get to the just-released Bandicoot,” said Anne-Marie. We were on our way from the train station to her kangaroo sanctuary in the remote Australian wilderness. 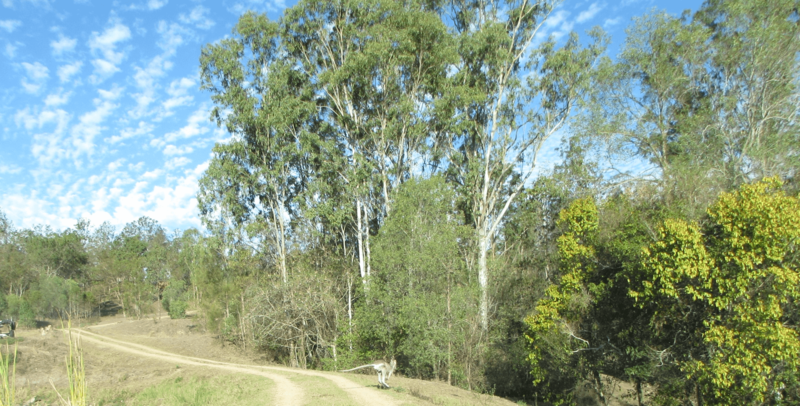 I sat in her dusty Toyota as we passed endless cattle ranches lined with eucalyptus trees. There were no other humans in sight. Suddenly I found myself wondering why I agreed to spend an entire week volunteering at a kangaroo sanctuary in such a dangerous place, so far from civilization. 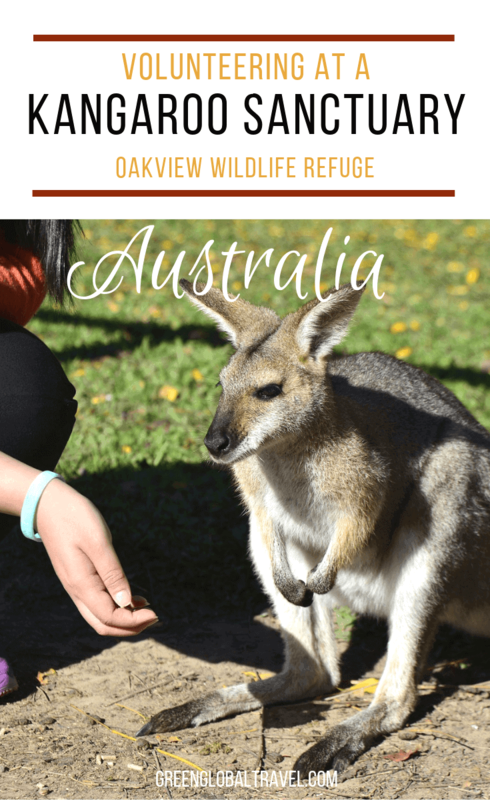 After a 14-hour flight from L.A. followed by a short stay in Brisbane and a 3-hour train ride, I arrived at Oakview Wildlife Refuge, located outside Gympie in rural Queensland. The only info I had about the place was a paragraph in the WWOOF (Willing Workers On Organic Farms) book. WWOOF links volunteers with farms/rescues offering room and board in exchange for work. 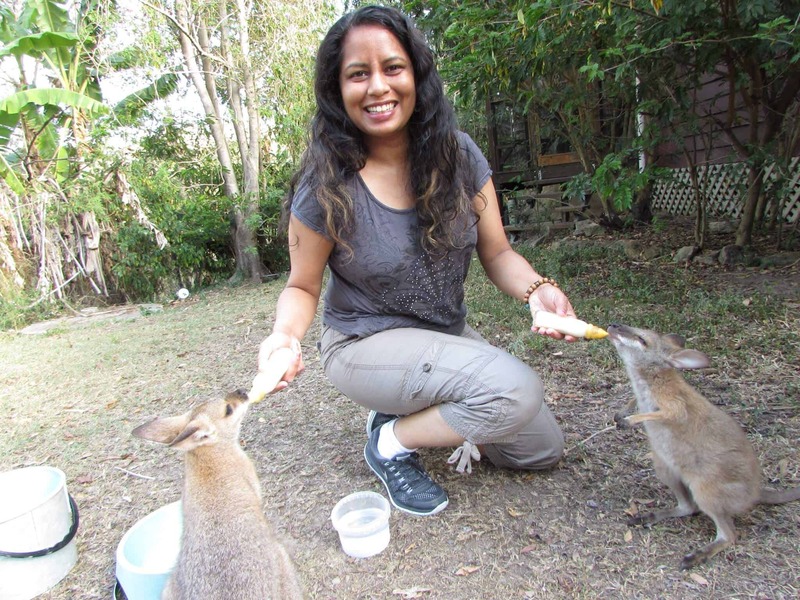 When I signed up, all I knew was that I’d be caring for orphaned Kangaroos and Wallabies while helping with chores at the sanctuary. It wasn’t until I was in the car with this petite, blonde, 60-year-old Irish expat that it hit me: I was in for a once-in-a-lifetime experience. 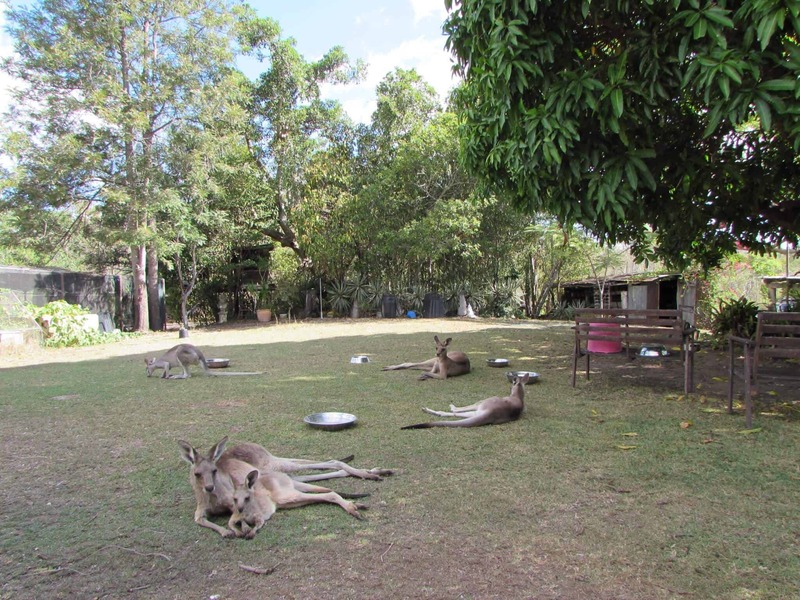 “Welcome to Kangaroo Heaven!” announced Anne-Marie as she drove up the long dirt road to her large brick house. The first thing I saw was at least a dozen Kangaroos gathered under a massive Mango tree in the front yard. These were animals Anne-Marie had rescued, rehabilitated, and released over the years. Despite having 270 acres of property for them to wander around, the Kangaroos come to her for the food and water she leaves out every morning and evening. With a severe drought hitting the area, they clearly needed all the help they could get. I had seen Kangaroos at the zoo before, but the sight of them in their natural habitat quickly melted away any fears I had about my decision to volunteer. 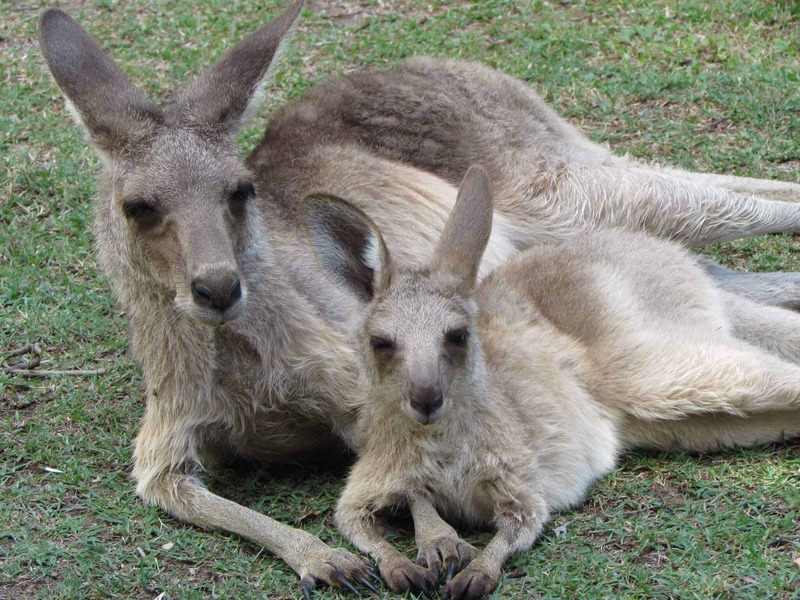 My heart smiled at seeing the adorable joeys hanging out behind the house. Anne-Marie had nine wallaby babies that roamed freely in a fenced-in area, learning life skills and preparing for their release into the wild. 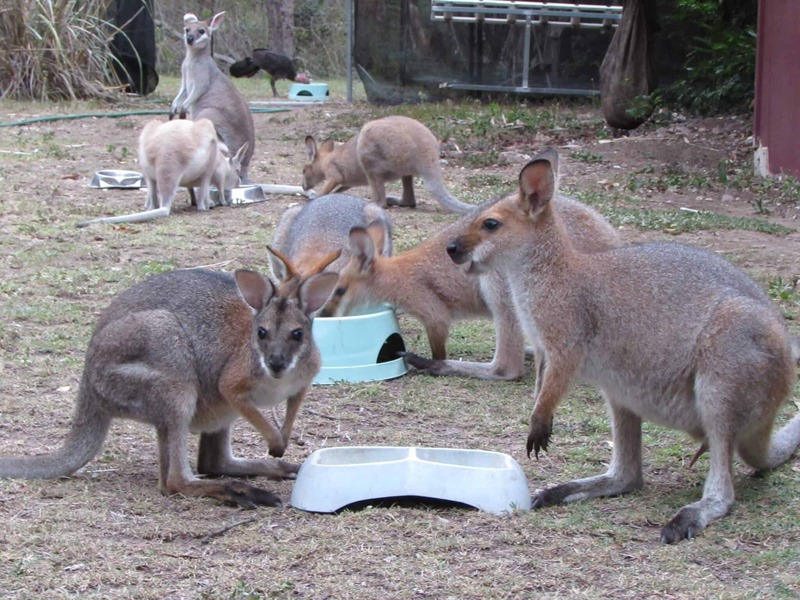 That afternoon, the joeys were waiting patiently to be fed. With their beady eyes and tiny arms, they stood upright by the door. It was past their feeding time. Anne-Marie handed me two tiny milk bottles as a pair of babies– named Mo and Daisy– approached. Both reached for my hands with their little fingers. They eagerly drank their milk and then happily hopped away. Over my first three hours at Oakview, I hand-fed a Bandicoot, cuddled with a Bush Rat, and went in search of a rescued Cow and her calf to bring them food. The place was vast, and the animals roamed far. On our way back, we picked Calliandra flowers and branches for the two Opossum babies that were under Anne-Marie’s care. 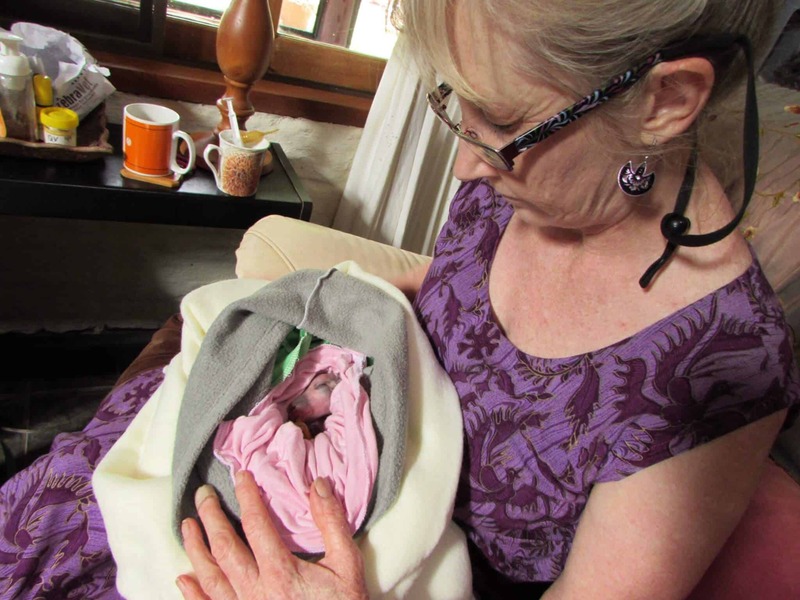 Anne-Marie rescues any animal that needs help, but she has dedicated the past 15 years to saving hundreds of joeys, some of them just a few months old (called pinkies). Many of these young roos were victims of hit-and-runs, or orphaned by hunters going after their moms. 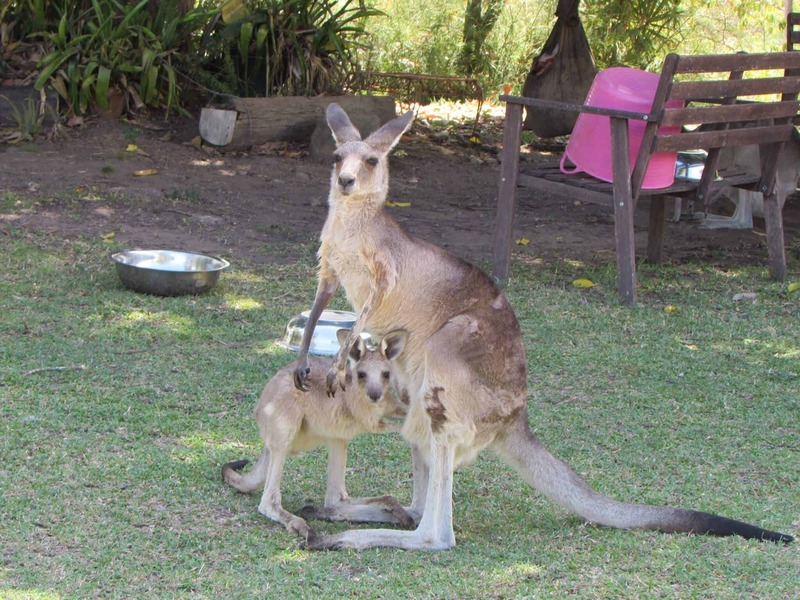 At the kangaroo sanctuary they get a second chance. Each animal at Oakview is given the love and attention it deserves, which involves bottle feedings every few hours and making sure their temperature is ideal. 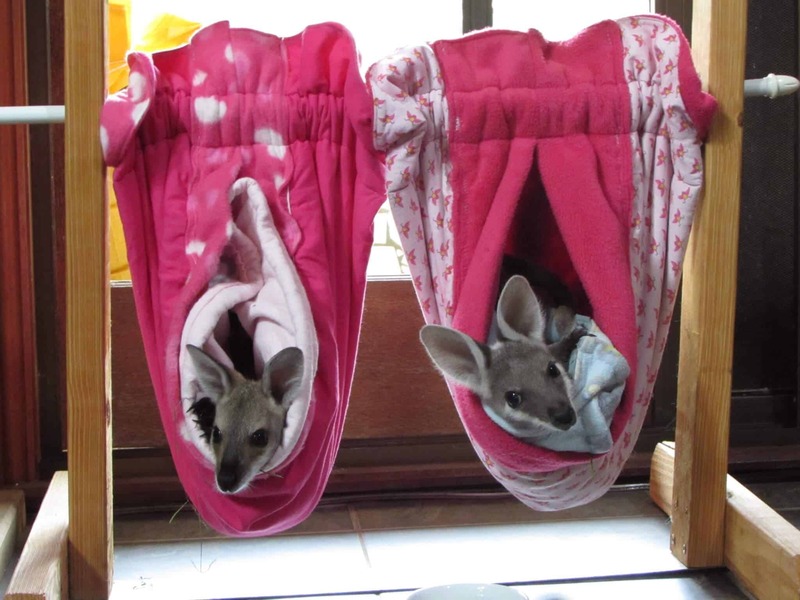 Joeys cannot thermoregulate themselves, so they need to be put into pouches to ensure their body temp is right. Staying calm around them is key, so they won’t get scared and injure themselves by running into fences/trees. Caring for them also includes keeping a lookout for predators, such as Pythons, venomous snakes, Dingos, and Eagles. Anne-Marie said she has personally fought off Pythons in order to protect her furry babies. Once these animals are healed and old enough to survive on their own, they are released back into the wild. “They are not pets,” Anne-Marie said. “They belong in the wild. I cannot help what happens to them afterwards,” though she admitted that she goes through an emotional roller coaster every time she releases an animal. It’s not uncommon for animals to come back “home,” hanging out around Oakview for years following their release. Some return due to injuries from barbed wire, hunters, or vehicles. 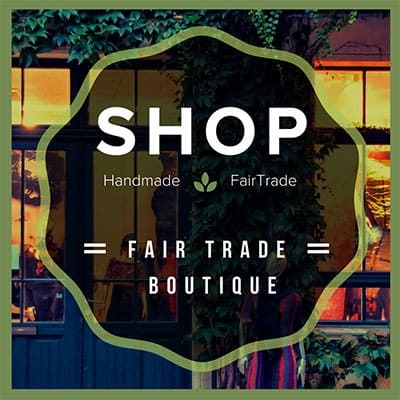 Anne-Marie heals them all with herbal and homeopathic remedies. During my stay at Oakview Wildlife Refuge, I awoke every day at 5:30 AM to feed the babies, fill their water bowls, and clean up after them. I watered the vegetable garden, where snakes sometimes liked to visit, but thankfully never had an encounter. I even helped prepare food for the Bandicoot and Bush Rat. I also fell in love. His name was Cooper, a feisty little two-year-old Wallaby who was nearly ready to be released. He really seemed to love attention and followed me everywhere, posing for pictures and keeping me company on my walks to fill the water bowls up in the trees for the Possums. There were certainly times under the unforgiving Australian sun when I wished that I was back home. But it was an honor to be a witness to, and learn from, the kindness Anne-Marie showed to even the tiniest animals. A few days into volunteering at the Kangaroo sanctuary, we received a distress call. A woman had found an Eastern Grey Kangaroo near death in her backyard and wanted it off her property. The animal had been run over and wouldn’t recover. And unfortunately there’s no veterinary euthanasia available in rural Australia. So Anne-Marie immediately contacted a friend who lived nearby to end the animal’s suffering by shooting her. But when he arrived he found a tiny baby in her pouch. Anne-Marie quickly sprung into action, and before I knew it I was riding shotgun at breakneck speed to save the newborn. “The poor thing doesn’t even have fur yet! We have to get her before crows and other predators do,” Anne-Marie muttered as we made our way down a winding road towards the property. Leafless trees stood silently in the landscape, with decaying corpses of Kangaroos and Wallabies lining both sides of the road. A tragic, yet typical sight in the Australian summer. When we arrived, the mama was lying dead in a paddock behind the house. Anne-Marie tiptoed towards her, glided one hand over her chest, and slid the other in her pouch. She grabbed the tiniest baby I’d ever seen, put it in a few fleece pouches, and stuffed them under her blouse. On the way back to the Kangaroo sanctuary, we stopped to pick up baby food. Anne-Marie asked me to take over holding the baby, which she had determined was a girl. I lifted my shirt and she put the little bundle underneath. When she moved, it felt as if she was inside my belly. Later, Anne-Marie carried the baby like a Kangaroo would, in a pouch attached to her hip. Anne-Marie woke up every few hours that night to feed the baby. She looked like a fetus, and needed to be kept in several cloth pouches. If “pinkies” get too much oxygen, their developing eyes get cataracts and they never gain sight. Thankfully the baby survived, and has a promising future. Australia is the only country in the world that kills its most recognizable animal. Kangaroos and Wallabies are often shot after dark, when they are most active. When the killed animal is a mother, the shooter often removes the baby from the pouch and smashes its head against a hard surface to end its life… or simply abandons it. I know it’s hard to stomach, but it happens with surprising regularity. And all to feed the growing demand for marsupial meat and hide in Australia, China, and neighboring countries. 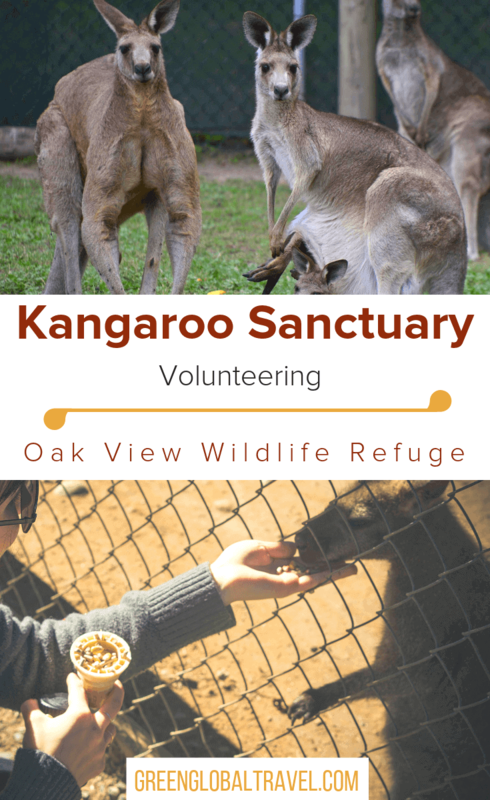 In a nation where 10,000 Kangaroos and Wallabies are shot every day, Oakview’s Kangaroo sanctuary offers a ray of hope. 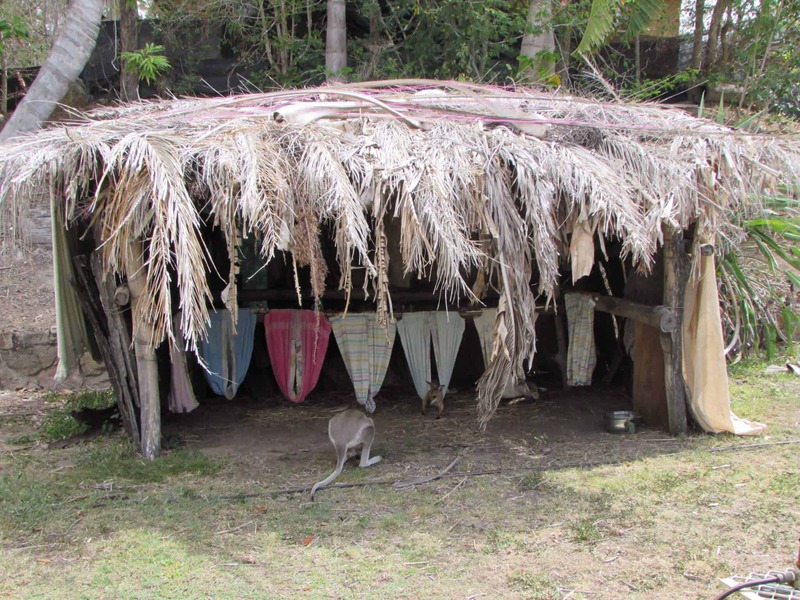 As I sat under the veranda of Anne-Marie’s house each evening, Kangaroos and Wallabies– some with babies in their pouches– lounged under the mango tree, enjoying the comfort of the refuge. After spending the past week cleaning up after joeys, bottle feeding them, and prepping food for all the other animals, I was exhausted. But also inspired. Now, when I go to sleep, I know the babies I fed are alive and well, living in the Australian wilderness.